As the temperature drops, our appreciation of a warm bowl of soup increases. My family really enjoys this soup recipe because it has a little something for everyone. I love the cilantro, my kids love the sweetness of the corn, and my husband enjoys the shrimp. All of the flavors combined create a recipe that is anything but ordinary. This is a delicious, creamy soup that is not too heavy and has a hint of southwestern flavor from the poblano chilis and cilantro. 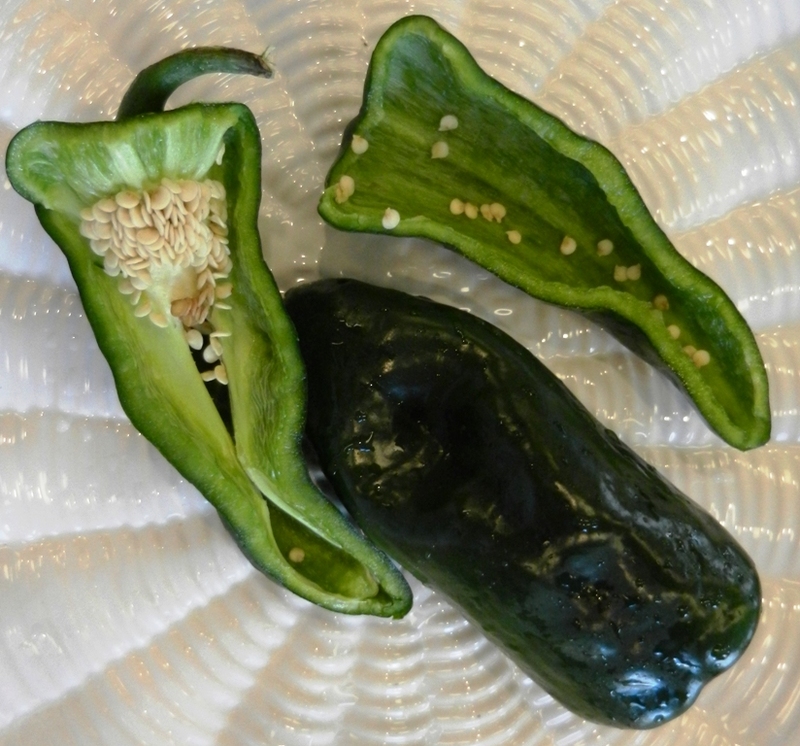 Poblano Chilis are larger and milder than jalapenos, They look like dark green, narrow bell peppers.